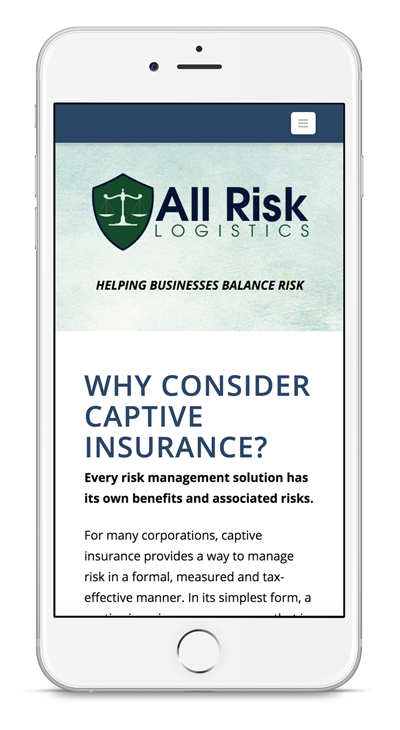 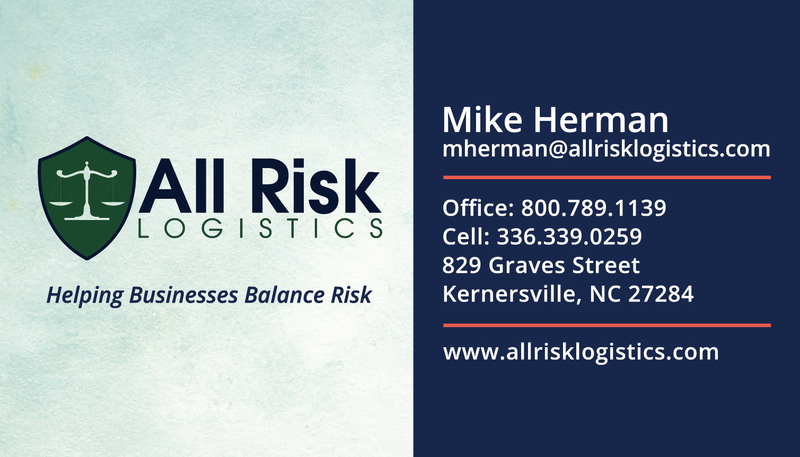 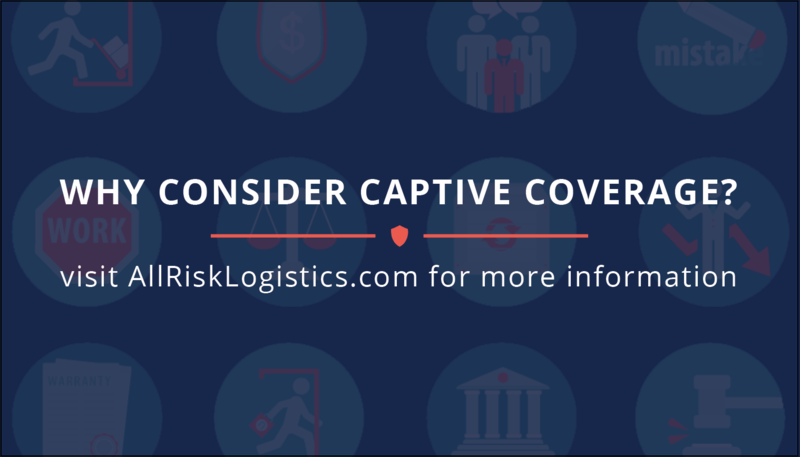 All Risk Logistics helps small to mid-sized businesses balance risk through the use of captive insurance. 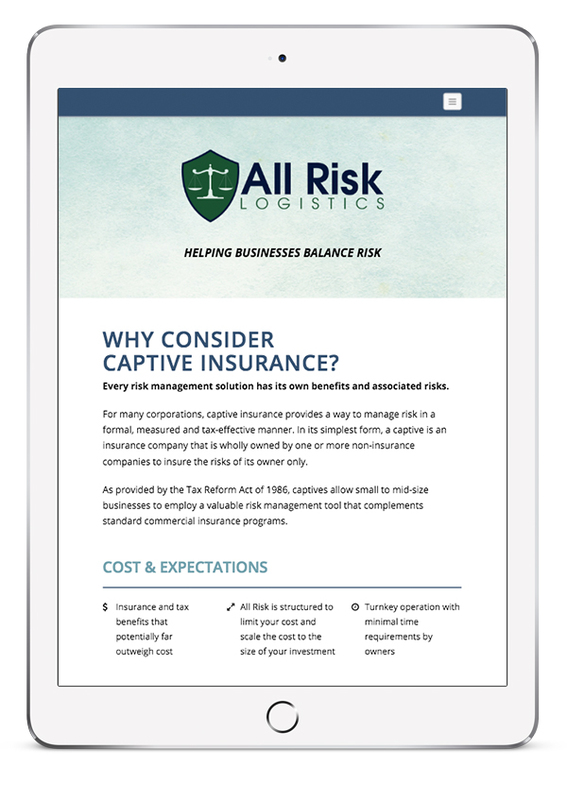 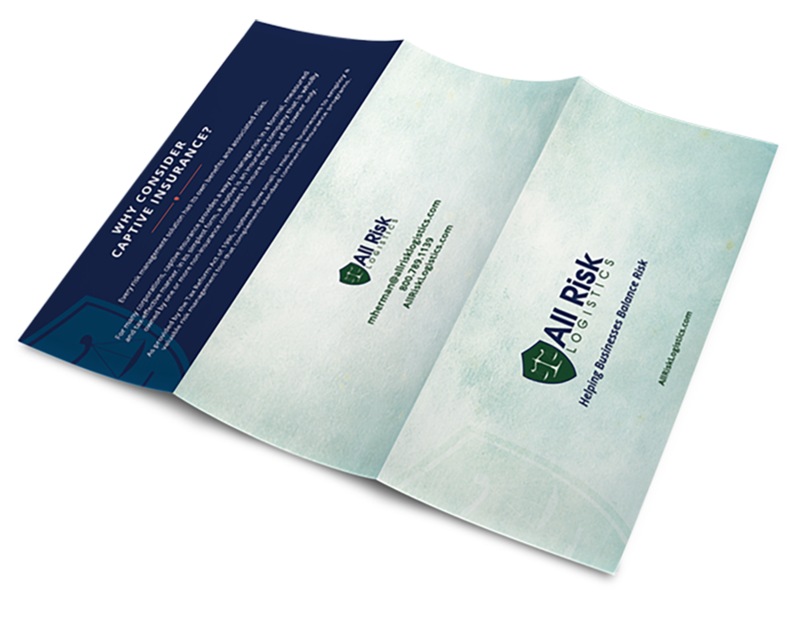 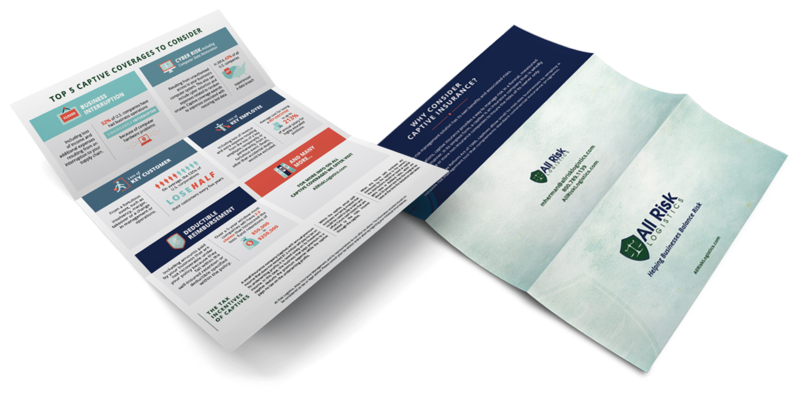 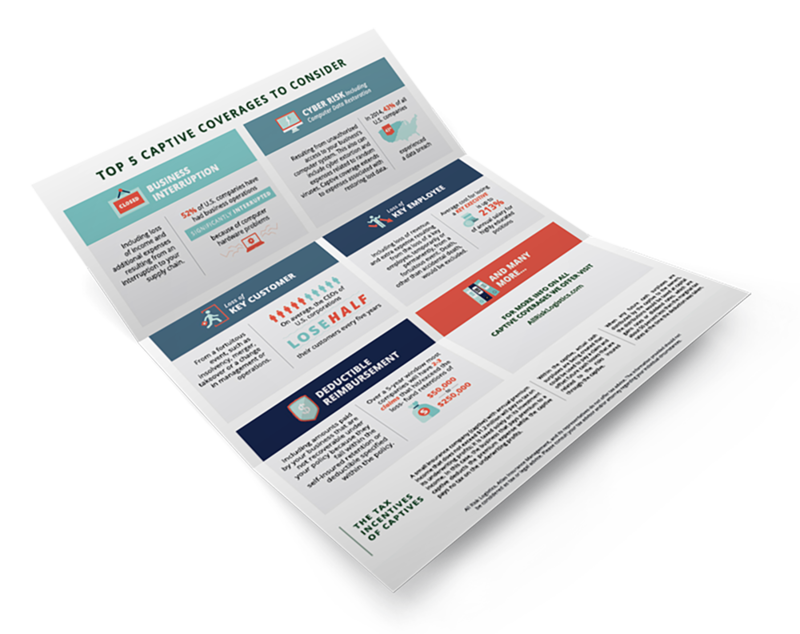 We helped All Risk Logistics explain a complicated subject through the use of compelling graphics and streamlined content in its print materials. 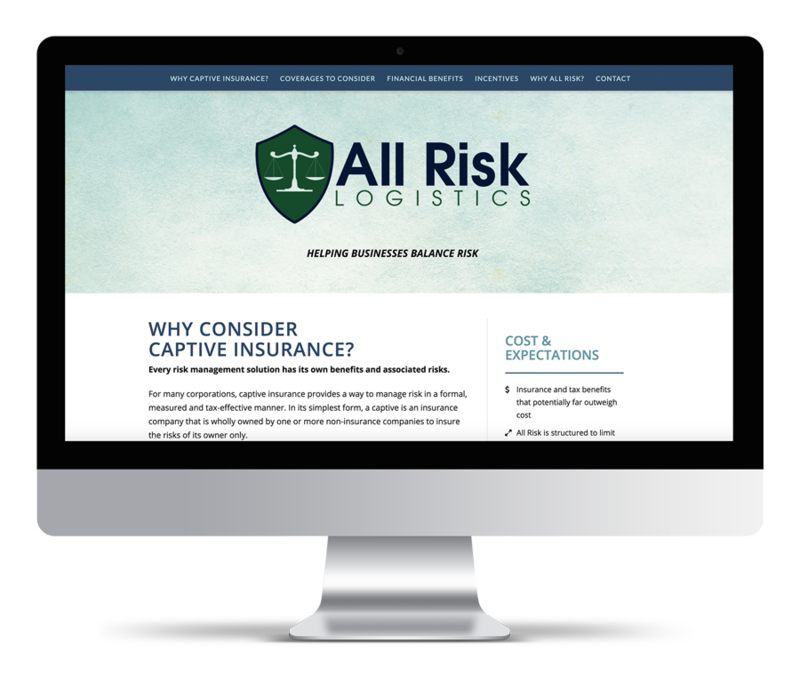 We also designed and built a website for All Risk Logistics that can adjust to the devices that businesses owners are using to learn about the company.